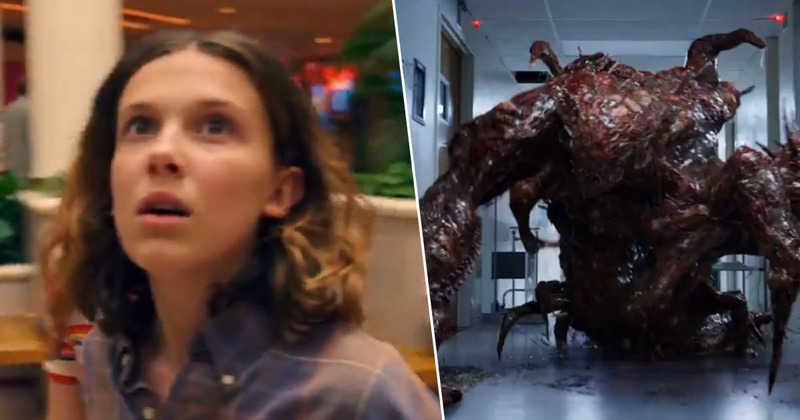 Netflix have released the first full trailer for the third season of hit show Stranger Things, and it looks incredible! The streaming service have been teasing us with cryptic videos to build up the hype surrounding the upcoming season, which was already high to be honest. But finallyyyyyyyy a trailer has been released, giving us a closer look at what we can expect from the plot for the third season as we return to the Upside Down. Season three will consist of eight episodes, with Netflix revealing their titles at the end of last year in a video. Of course those names don’t give much away, but it is enough to give something for fans to pore over, coming up with all kinds of fan theories. Netflix are keeping shtum over plot details, but they have previously revealed season three will take place in 1985, which is less than a year after the events of season two. However, Gaten Matarazzo (Dustin) did reveal to UNILAD the upcoming third season will be ‘darker’, ‘funnier’ and more intense. The next season is definitely darker, the darkest yet. And it is definitely bigger. It is eight episodes and it comes out in summer and takes place in the summer of 1985. While it is darker and intensified, it is also funnier. Gaten added the season will also feature more of ‘Dad Steve’, which I imagine is what he meant by ‘funnier’. 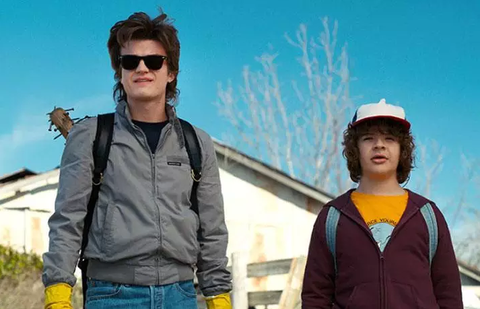 Dustin and Joe Keery’s character Steve Harrington really hit it off during season two, with Gaten admitting the friendship is his ‘favourite part’ of the show so far. I loved the development of Steve and Dustin’s relationship. It has been my favourite part of filming the show. Working with Joe was spectacular. It was just… funny. They didn’t know the friendship was going to happen but it just clicked and worked. It is also one of my favourite parts of the show, so I am excited to see more of Dad Steve in season three. And thankfully we haven’t got long to wait, as the third season of Stranger Things will be released on July 4 on Netflix.